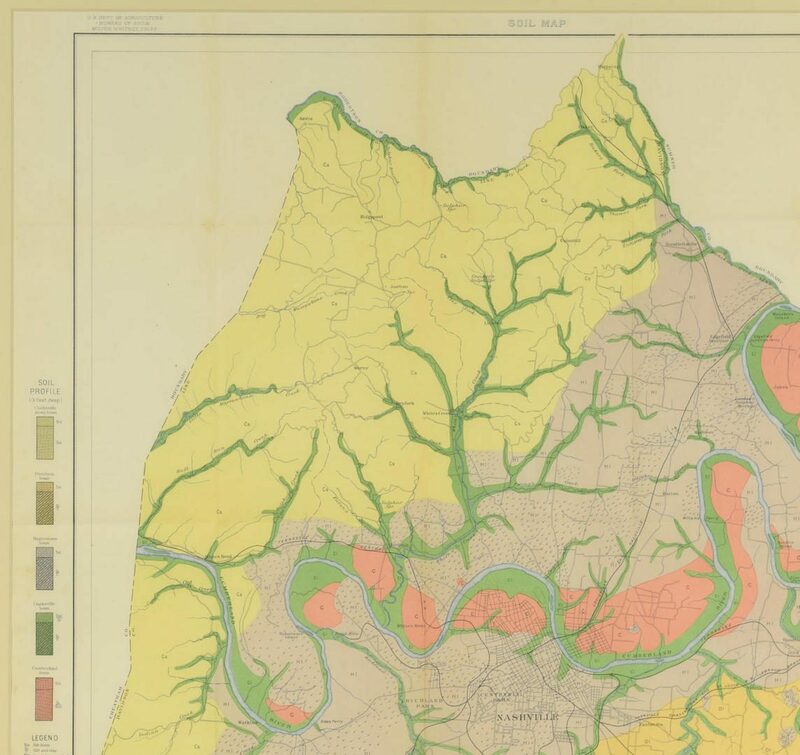 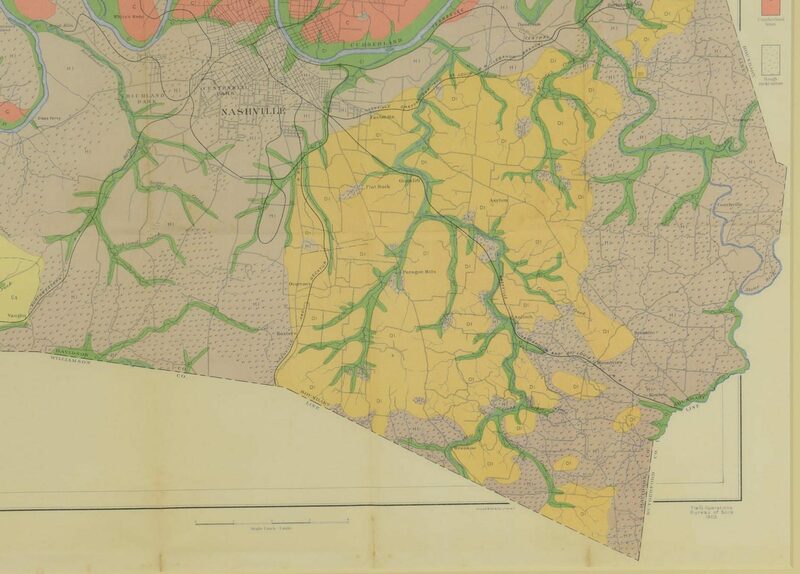 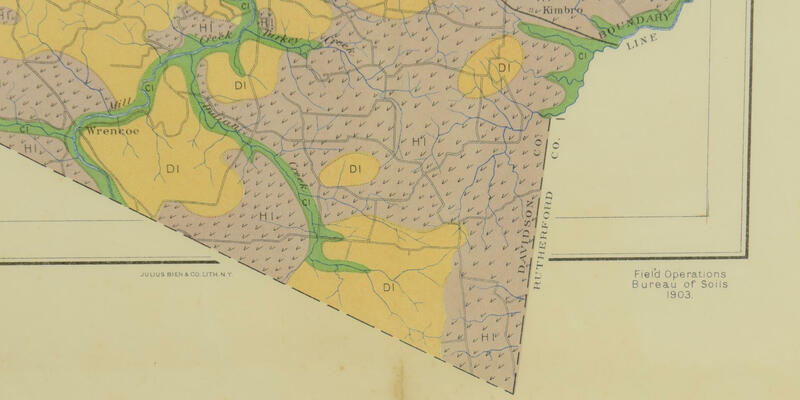 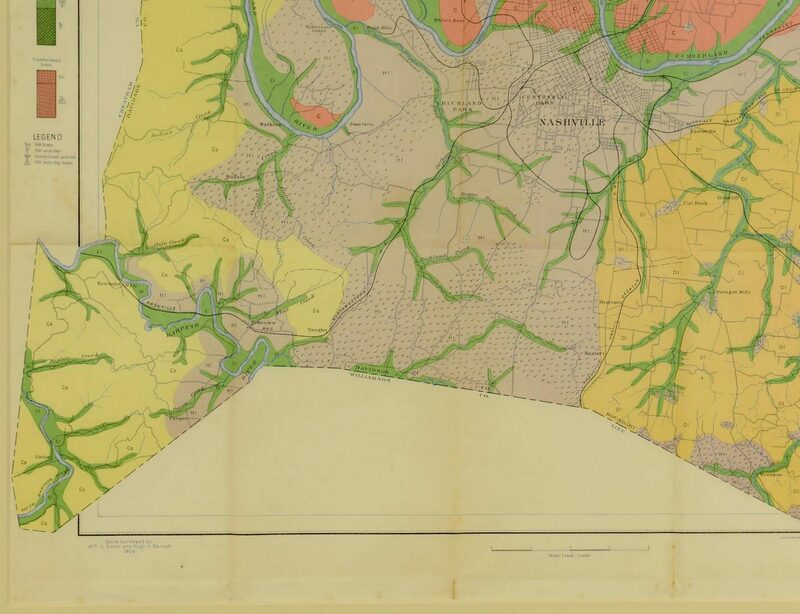 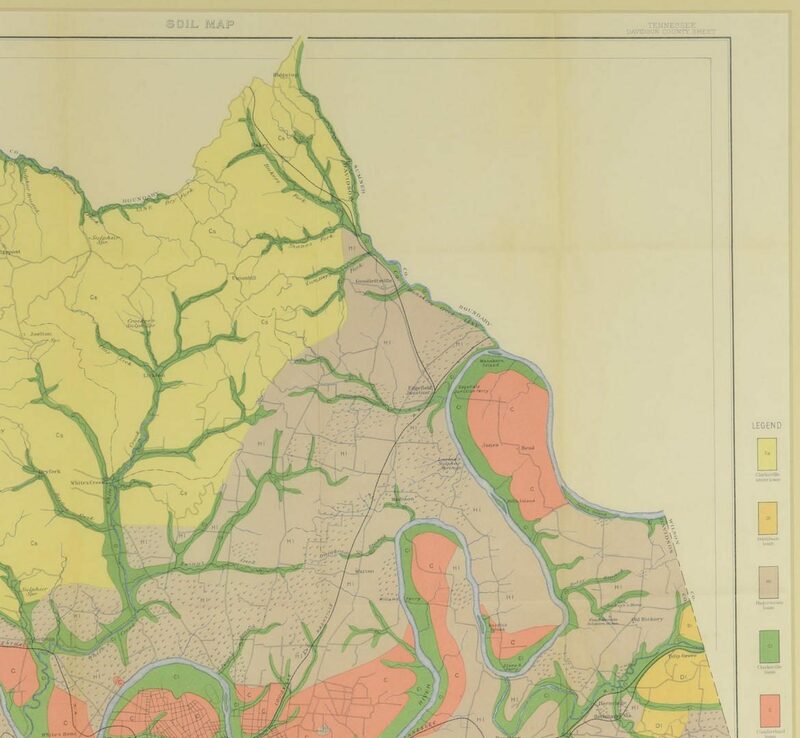 United States Bureau of Soils, Soil Map, Tennessee, Davidson County, 1903. 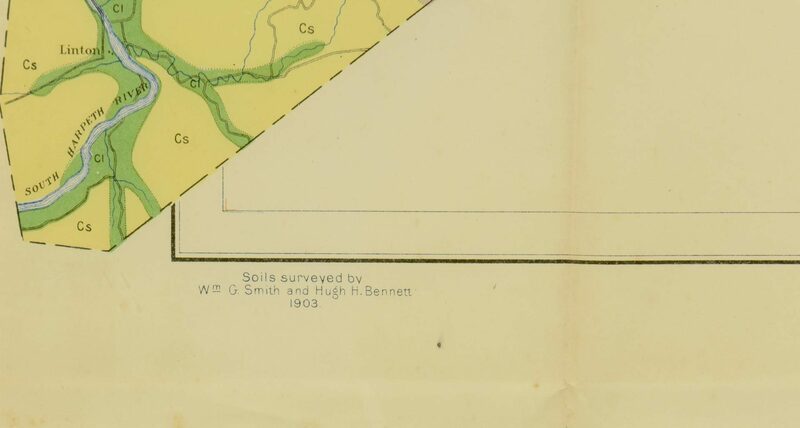 Soils surveyed by William G. Smith and Hugh H. Bennett, published by Julius Bien & Co., New York. 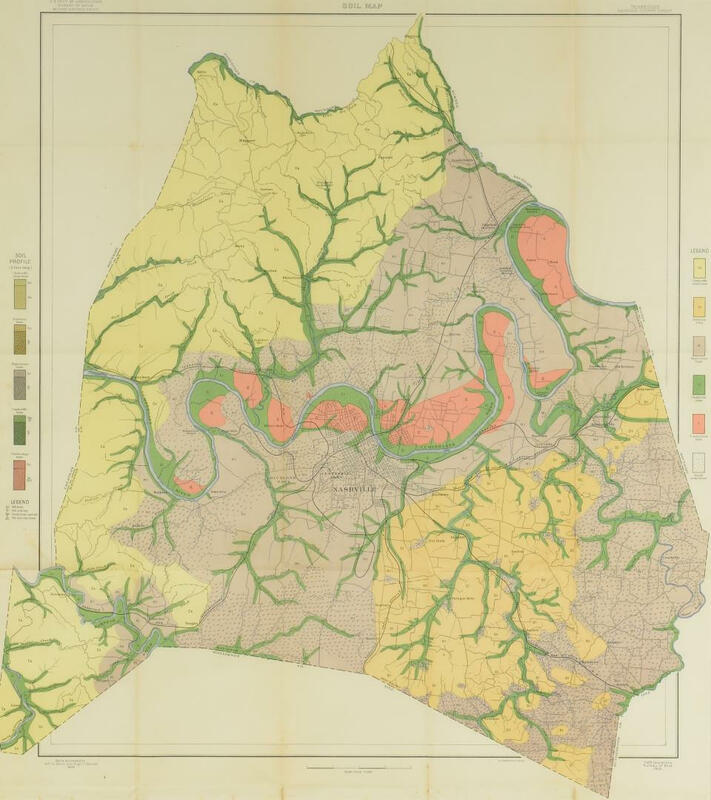 Colored map depicting Davidson County, Tennessee features soil composition, roads, railroads, cities and towns including Nashville, ferries, and the Cumberland River. 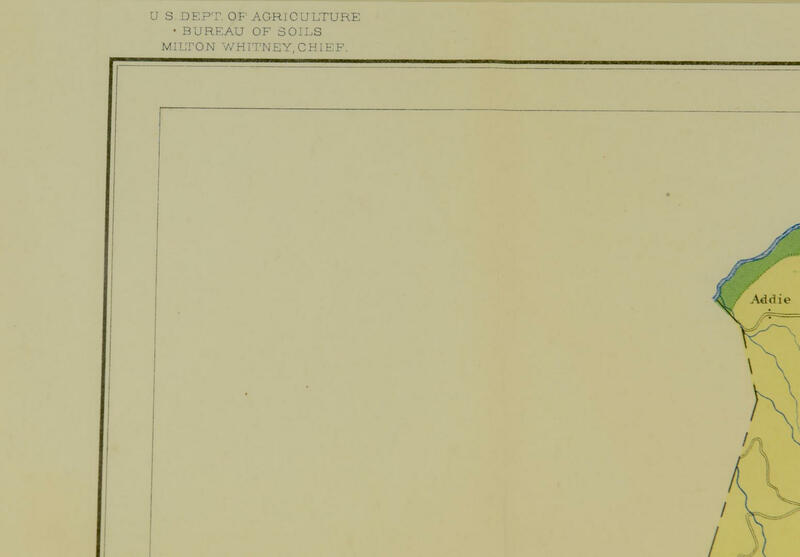 Housed in wooden frame, painted black. 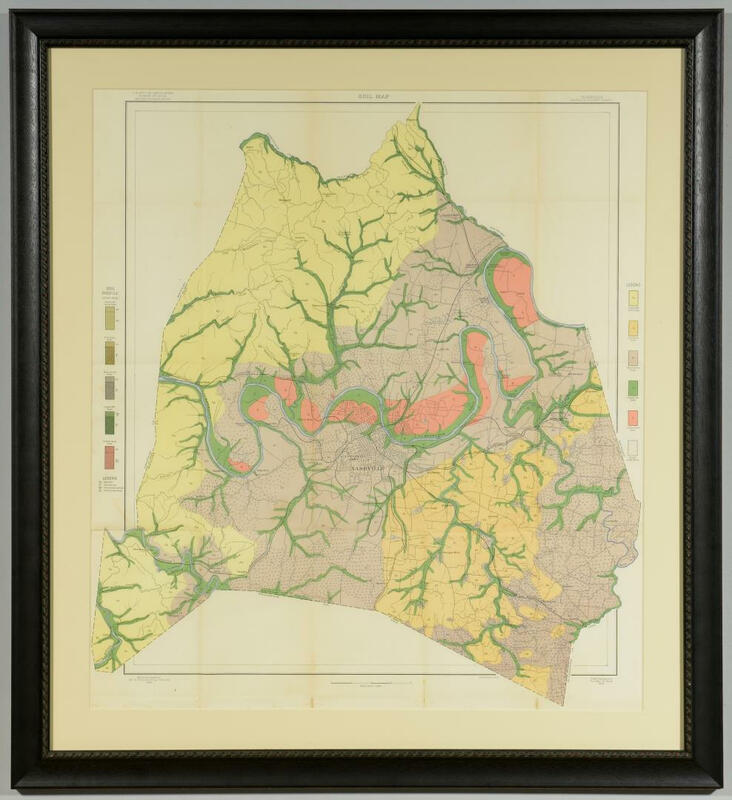 Sight – 30 3/8" H x 27 1/4" W. Framed – 38 3/8" H x 35 1/8" W. Collection of Charles and Ann Wells, Nashville, Tennessee. CONDITION: Overall good condition with toning on fold creases and scattered foxing; see areas in left legend, lower border and minor areas of lower left and right quadrants.